Technology has become a necessity in students’ education. 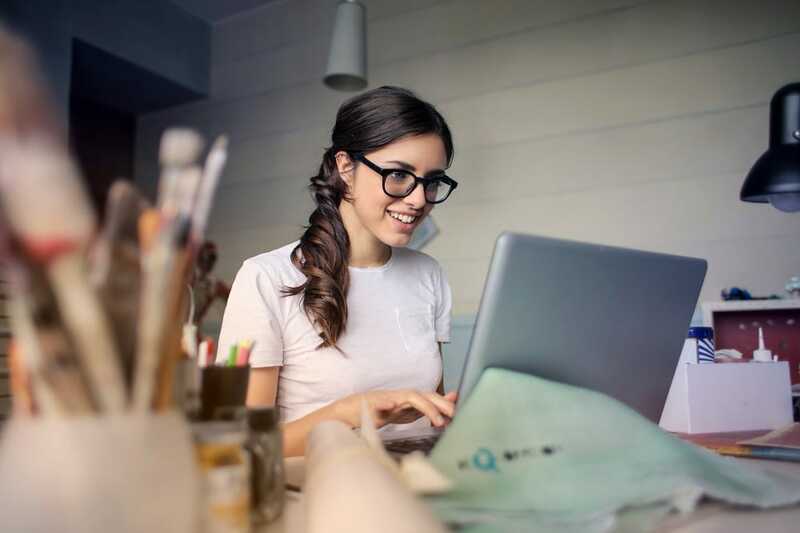 With the internet providing more authoritative resources than text books and the original home PCs too bulky to move around, having a laptop provides high school and college students with access to the internet, writing programs, and everything else they may need to complete their studies. However, not all students can afford high-end laptops. The latest MacBook Air, for example, costs at most $1,399 – and that’s a luxury not all students or their parents can afford. While it’s true that more expensive laptops provide additional features, if you’re a student looking for a budget laptop with the basics you’ll need for school, there are still some pretty good laptops under a $300 budget. While these don’t have the shiny bells and whistles more expensive laptops promise, you can bet these laptops will help you with all your basic school requirements. Throughout my high school college career, I survived with two Lenovo laptops. The first one lasted me five years until the battery and memory gave up; the second one would have lasted longer into my years in the workforce had I not spilled soda over the keyboard literally right after saving my final thesis file. If you’re looking for reliable laptops on a budget, I can personally vouch for Lenovo’s quality. 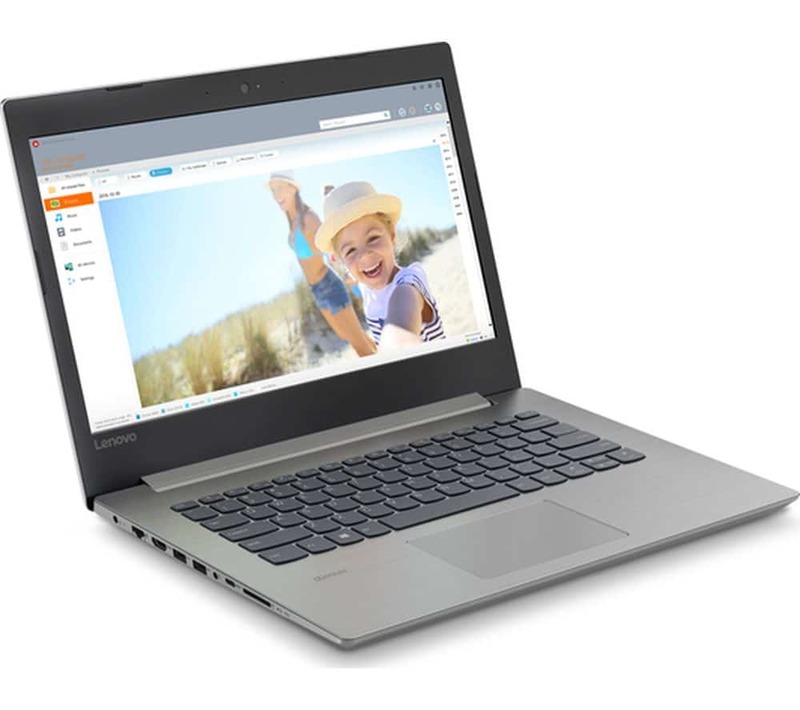 Its latest budget model is the Lenovo 2019 IdeaPad 330, and based on its specifications, it is no different from Lenovo’s other models in terms of reliability in quality. It has a 15.6” HD LED display. It may be a bit bulky to store in your backpack or store in the laptop sling bag Lenovo usually provides with each model (which some may find a bit of a hassle, especially if you commute to school). However, its lightweight features make up for the size. It is only available in a sophisticated gray color. Performance-wise, it includes high-performance hardware, including an Intel Pentium N5000 processor; Quad-Core; 1.1GHz Up to 2.7GHz, 802.11AC, Bluetooth, and more. It has outlets for both USB 3.0 and 2.0, an HDMI, and a headphone and microphone jack, a DVDRW (you don’t see these very often anymore, especially in lightweight models), and a charger. By purchasing the IdeaPad 330, you also get Windows 10. However, based on my experience, getting a computer pre-installed with Windows 10 means a lengthy initial setup and even a false start that requires a trip back to the laptop seller because Windows 10 needs to be fully updated to get the kinks out. Lenovo claims that, aside its ability to perform the basic features such as internet research and word processing, it has the graphics and hard drive storage to provide additional features such as photo editing or gaming. 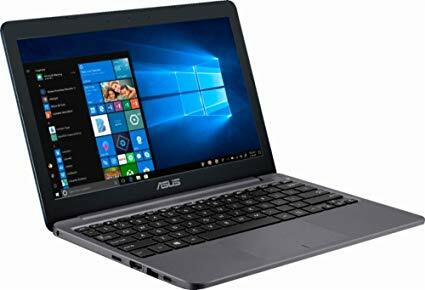 A few games or additional programs may still work normally, but for its price and its specs, though, I wouldn’t recommend turning this into both a heavy-gaming and school laptop as the memory and other software used by games could affect the way it performs with the rest of its programs. Apart from Lenovo, Asus provides mid-range laptops that are still in pretty good quality. Its latest model is the Asus VivoBook E203MA, a much smaller laptop than the IdeaPad 330 at 11.6” and weighing 2.2 lbs. It’s not your gaming laptop and may be a little small for a few people, but if you’re looking for something easy to carry, has all the necessities for your school requirements, and is good for watching films every now and then, this is it. The brush-aluminum gray-colored body provides a stylish exterior which can fold up to 180 degrees. It has all the basic ports, outlets, and features, except for the CD and DVD drive. To read CDs and DVDs or transfer data from there to your laptop, you may need to purchase an additional CD/DVD reader online or from your local computer store. Asus describes this model as powerful and efficient, with an Intel Dual-Core Celeron N4000 processor with 64GB eMMC Storage and 4GB LPDDR4 RAM. 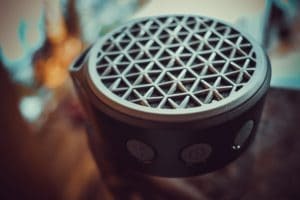 Despite its size, its battery packs a punch by providing a life of up to 10 hours long, depending on your usage. 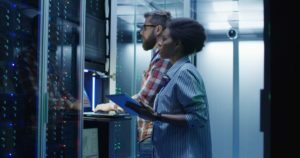 It is equipped with Windows 10 which, if you’re buying an older model, will require updating the system first before using it to avoid any glitches that could affect your work. 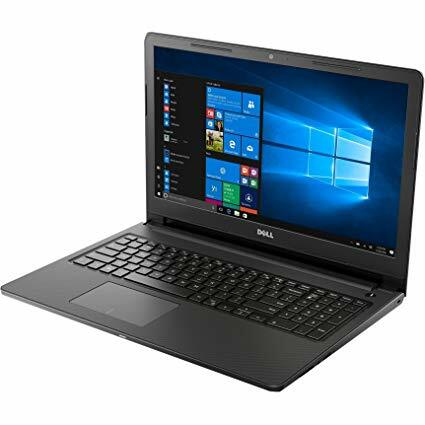 Because it is small and lightweight but also has the power for long lifespans and multi-tasking programs, this one is an ideal laptop choice for students with a smaller budget than 300 or 200 dollars. My only concern about this model is that, having worked with a small laptop like this before, finding laptop sleeves or cases for it, as well as special wires that may be required for replacement or add-ons, may be difficult to find. The Dell Inspiron 3000 comes in various sizes: 11”, 11” 2-in-1 (flexible), 14”, 15”, and its latest model, the 17”. If you’re looking to make the most out of your $300 budget, the 15.6-inch provides the biggest screen. You can also get either of the 11-inched laptops. To learn more about them, simply click the link and choose either of the two. Its features include a 7th Generation Intel Core i5-7200U Processor, a Windows 10 Home 64-bit Operating System, an Intel HD Graphics 620 Video Card, up to 16GB, 2400MHz, DDR4 memory, and up to 1TB 5400 rpm Hard Drive. If you’re worried about overheating, Dell builds their laptops with heat-resistant materials that can withstand that typical heating you get from laptops, especially when you’re writing long papers and have to leave your computer on for longer periods of time. It has all the necessary ports similar to the IdeaPad. It’s similar to the IdeaPad in terms of size as well, but the IdeaPad is much more lightweight. It’s a good option for people looking in the market, but there’s nothing very promising about it when the IdeaPad already provides all these features (and more) for the cost of almost six dollars more. 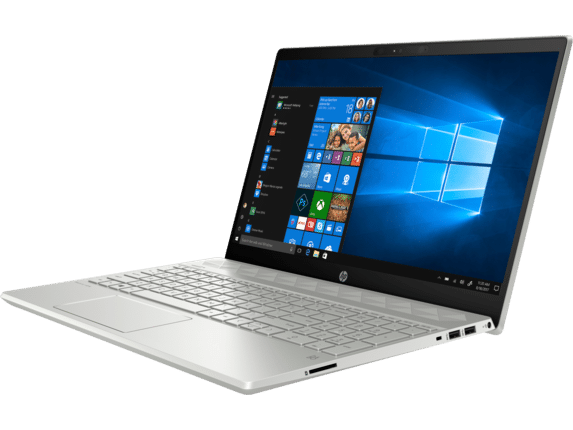 The only laptop on this list with touch-screen features, the HP 15z is a contender on this list. However, its unique selling feature may also be to its disadvantage. This model offers all the basic specs: a 15.6” screen with multi-touch screen support; Intel Quad Core Pentium Silver Processor N5000; 4GB worth of memory; 1TB Hard Drive; Intel UHD Graphics 605, ports for USB 3.0 and 2.0, and a Windows 10 Operating System. It does not have a CD Drive, so like the VivoBook, you’ll have to purchase additional tools for that. It’s good for small-sized games and regular-sized programs. If you’re an average student who uses your laptop frequently, it’s a good laptop to consider. In terms of disadvantages, some tech writers are split between touch-screen features with laptops. And with this model, I’m very hesitant to call this feature its unique selling point when it is capable of so much more. I think the touch screen feature is only worth it if you’re dealing with laptops with a flexible screen, but the 15z isn’t one of those models. However, if you feel like you’d want to use its touchscreen features, it’s still a pretty good laptop to own.